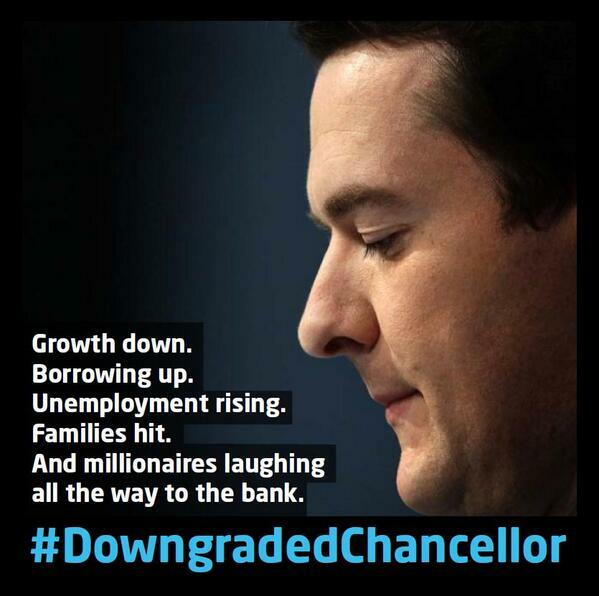 The Leader of the Opposition Ed Miliband made a real feature of the phrase “Downgraded Chancellor” throughout his speech. He also made a point about it being possible to fit the Coalition government’s budget into a single tweet. The Labour Party subsequently released the image above which featured both pieces of messaging.